Our church is made up of about 160 members of all ages and from all walks of life. Some come every week, and some come only a few times a year. We are a theologically diverse congregation affiliated with the PC(USA) and feel that we all have a right to our own beliefs and interpretations of Christianity. Everyone is welcomed, accepted, and loved. We are a Community of Christian Disciples with Open Minds, Open Hearts, and Open Arms. for we are on a lifelong journey of learning, about Christ hand his message, about our world, and how to reconcile the two. We desire to meet and accept people where they are in their own spiritual journey. We do not seek to judge or intimidate. We love to discuss and understand different points of view. We err on the side of grace when there are differences of opinion. for we invite all to share God’s boundless love, forgiveness, and grace. As we deepen our relationship with Christ, we invite others to deepen their relationship with Him. We want to share our stories and build meaningful relationships with each other. for we seek to be God’s arms in our church, our community, and our world. We give all honor, glory, and praise to God, who forms us, calls us, and sends us to be the Body of Christ in the community and the world. Amen. Our church was founded in 1905 in Fraser. When the congregation grew large enough, they built the historic Fraser Presbyterian Church building which is now a community center (“The Church of What’s Happening Now”). Back then it was difficult for people to travel between Granby and Fraser, so another Presbyterian church formed in 1927, and the congregation eventually purchased the old Lutheran log church building to meet in. In the 1980’s, these two congregations merged to become the “Presbyterian Church of the Eternal Hills,” governed by one board, but still worshiping in the two different locations. In 1998 our congregations decided to “meet in the middle” and our church in Tabernash was built We began worshiping here in 2002. We’ve been blessed with an amazing building and an even more amazing congregation. This and more information about being Presbyterian can be found on the PC(USA) website at www.pcusa.org. “Pastor Paula” has been with Church of the Eternal Hills since July of 2014. Paula grew up in Wichita, KS, where her love of God and the church was nurtured through a wonderful church family at Grace Presbyterian. Selected as a “National Presbyterian Honor Scholar,” Paula attended Sterling College in Sterling, KS, and received her Bachelor of Arts in Speech & Theatre, and Language & Literature with an emphasis in Secondary Education. 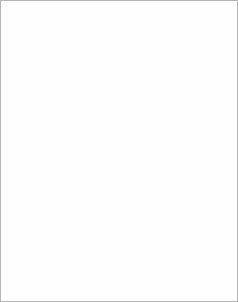 She received her Masters of Divinity degree from Phillips Theological Seminary in Tulsa, OK.
Paula has been married to James Steinbacher since 1992, and together they have 2 children, Addie and Stephen. 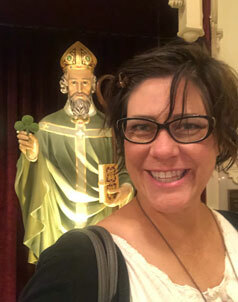 Paula has worked in youth ministry since her college years, and has served in various professional capacities at churches in Watertown, CT; Winfield, KS; Arkansas City, KS; and Newkirk, OK. In her free time, Paula loves writing, gardening, making soup, and spending time with James and their pets. Olive, the Boston Terrier, can often be found working alongside Pastor Paula at Church of the Eternal Hills. 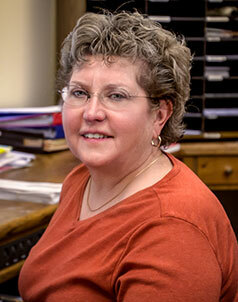 Jill Miles has been the CEH office administrator since 2013, providing clerical support to the pastor as well as the preschool and various church committees and activities. Her previous careers include international marketing specialist for an engineering company and small business owner. She has an MBA from the Thunderbird School of Global Management and speaks Spanish, Chinese, and dog. Janis and her husband Mark moved to Grand County in 2007 and began attending CEH shortly after. Janis was born in Iowa and after graduating from college, lived and worked in Minneapolis, MN for 26 years before relocating to Colorado. Janis worked in banking for 22 years and prior to that worked in public accounting. Since moving to Colorado, she has been involved in a number of organizations holding various board and officer positions. Her hobbies include golfing, skiing, tending to her flower garden, going for walks, and above all enjoying the beautiful Colorado scenery. Janis loves the friends, fellowship and teaching that CEH has to offer and is happy to have made CEH their church home. 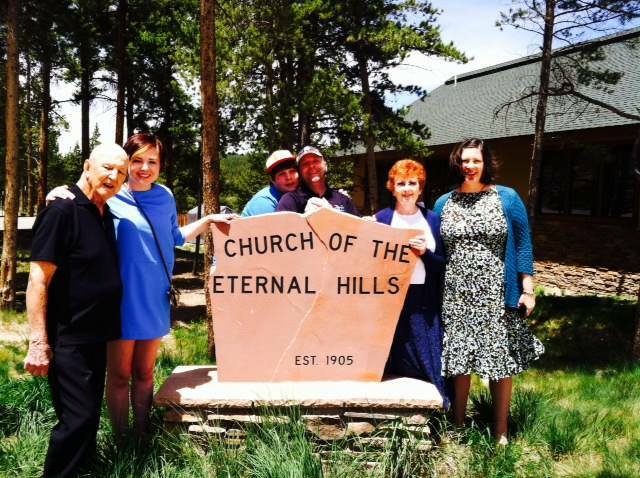 Julia has been with Church of the Eternal Hills since August of 2017. She started as the Preschool Program Director and has shifted to the Intentional Faith Development Director Position. This way, she gets to work with all ages, infants through adults. It is the perfect fit! Julia grew up in Boulder, Colorado and went to college at the University of Colorado in Boulder. She met wonderful, lifelong friends who encouraged her to grow her faith with God. She received a degree in physiology and a degree in psychology with a certificate of neuroscience. Following her undergraduate career, she met and married Allen Macchione. They have been married for five years this summer and have two children (Sadie and one on the way). She went back to school for her master’s in education from Colorado State University and is licensed as a Colorado Teacher. 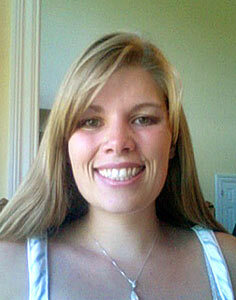 She has enjoyed working with middle and high school students and cannot wait to grow and learn more about ministry. Julia loves watching movies while snuggling with her family, dancing to Taylor Swift, drinking coffee, fishing, skiing, hunting, boating, and large family gatherings in Granby. Glen has led worship at CEH since 2007. He brings years of experience with him as he has served in various churches and Young Life as a worship leader since 1976. He studied music education at Corpus Christi State University. Glen’s musical talents include playing the guitar, piano, flute, drums, and singing lead vocals. He is also a contemporary christian recording artist. 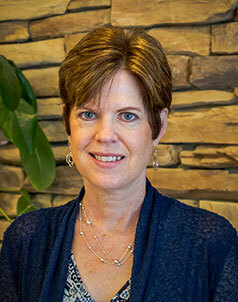 Patti has been the CEH Choir Director for over 30 years! She studied music at the University of Nebraska. While living in Oklahoma City, she taught piano for 10 years and directed 2 children’s choirs. Patti and her husband, Jack, have been members of CEH since 1978. 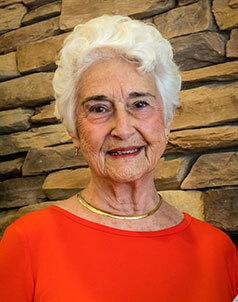 She thoroughly enjoys living in the mountains of Grand County, and loves the CEH family. Julie was born and raised in Grand County. 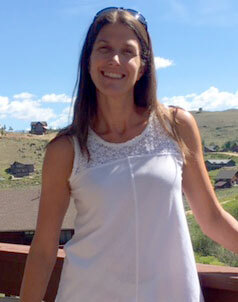 She returned to Grand County after completing college for a Bachelor’s degree in Occupational Therapy, specializing in Pediatrics at Colorado State University. Her love for caring for young children and nurturing their spirits has always been a part of her heart. Julie has enjoyed working with children over the years as an adult, as a ski instructor, infant & toddler nursery supervisor in a licensed child care program, and now is a practicing school occupational therapist for preschool-aged through high-school-aged students. A parent herself, Julie and her daughter have been part of the Church of Eternal Hills nursery program for 8 years, beginning when Julie’s daughter was 6 months. In her spare time, she enjoys time to alpine and cross country ski during winter months, bicycling and sea kayaking on the lake during summer months with her family.